A Crash Team Racing Remaster has not officially been confirmed yet but if recent rumors are to be believed, and the success of the Spyro Reignited Trilogy and Crash Bandicoot N. Sane Trilogy is anything to go by, it won't be long until Activision makes an official announcement. We've scoured the internet for rumors and news, so here is everything we know about the Crash Team Racing (CTR) Remaster so far. A Crash Bandicoot Team Racing Remaster hasn't been confirmed yet so we don't actually know any details. However we can assume that the remaster would release in mid to late 2019 as the Spyro Reignited Trilogy released seven months after it was announced and the Crash Bandicoot N.Sane Trilogy released a year after its reveal at E3 2016. Could CTR Remastered be confirmed at The Game Awards 2018? Rumors have been flying around that the Crash Team Racing Remaster may be revealed at The Game Awards 2018. 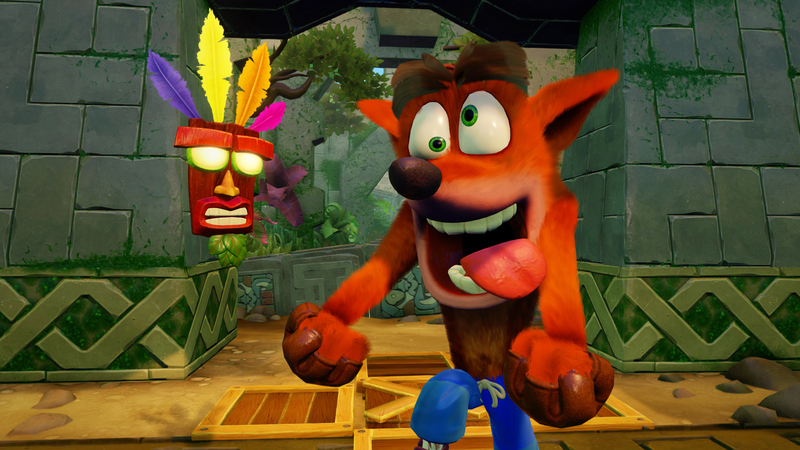 Several influencers in the gaming industry have received Crash-themed items such as Crash Bandicoot cookies, while PlayStation Access' Hollie Bennett received perhaps the least subtle teaser – a pair of fuzzy orange die with a note which read: "Sliding into the Game Awards on 6/12". Crash Team Racing (or CTR) is a Crash Bandicoot-themed racing game which originally released for the first PlayStation in 1999. The game's main Adventure storyline sees you playing as one of 15 characters from the Crash Bandicoot series on a mission to stop the evil Nitros Oxide from destroying the planet. How do you do that? By racing, of course. Adventure mode sees racing on various tracks to win as many gems, trophies, CTR tokens, boss keys and relics as possible, allowing you to unlock new tracks and take down Oxide. As expected, these aren't just any normal races. You can use special abilities such as speed boosts, power slides and rockets to attack fellow racers. Tracks include sewer pipes, temples and snowy mountains – all influenced by Crash Bandicoot levels. In addition to single-player Adventure mode, there are also Time Trial, Arcade, Versus and Battle modes to take part in. PS5: what’s the latest PlayStation 5 news and when will Sony release it?